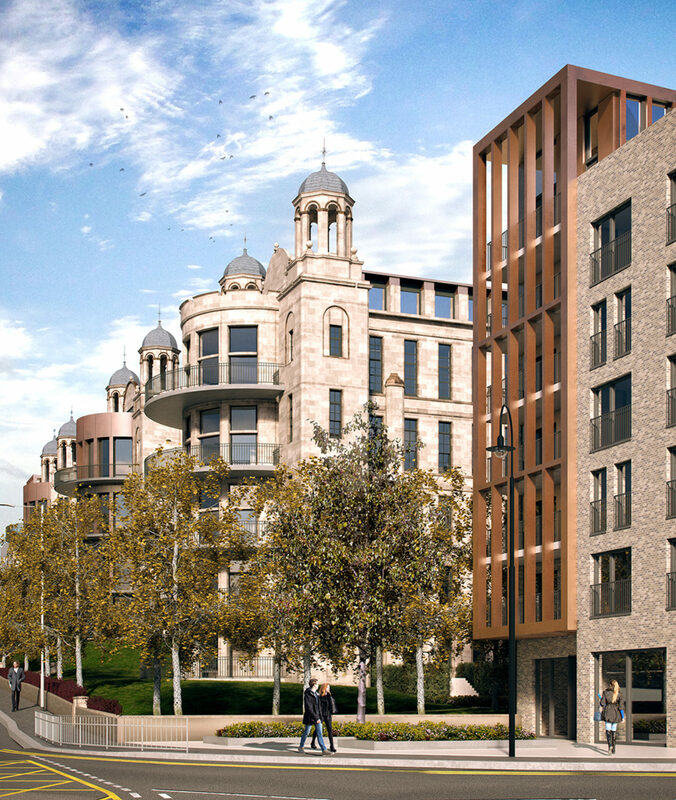 Plans have been approved by Glasgow City Council for the redevelopment of the former site of Glasgow’s Victoria Infirmary. 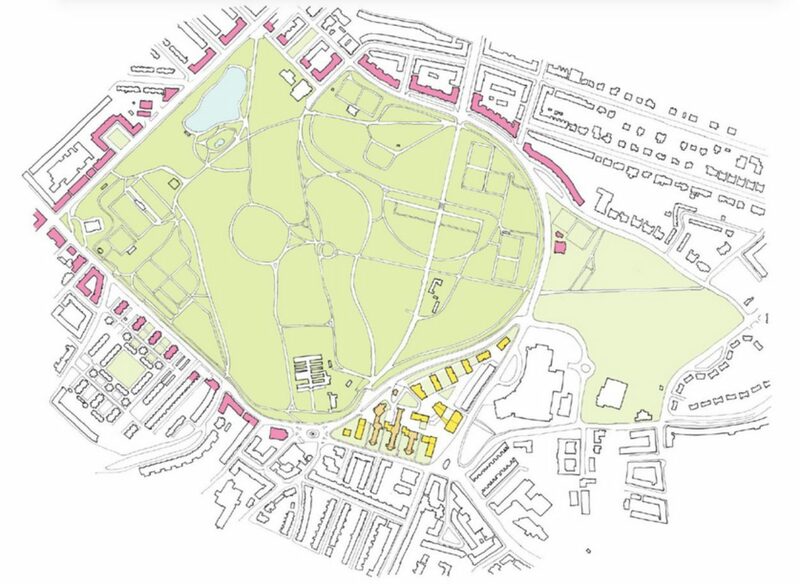 The 3.75 hectare site next to Queen’s Park, in Langside on the south side of Glasgow forms an important part of the character of the Battlefield area. 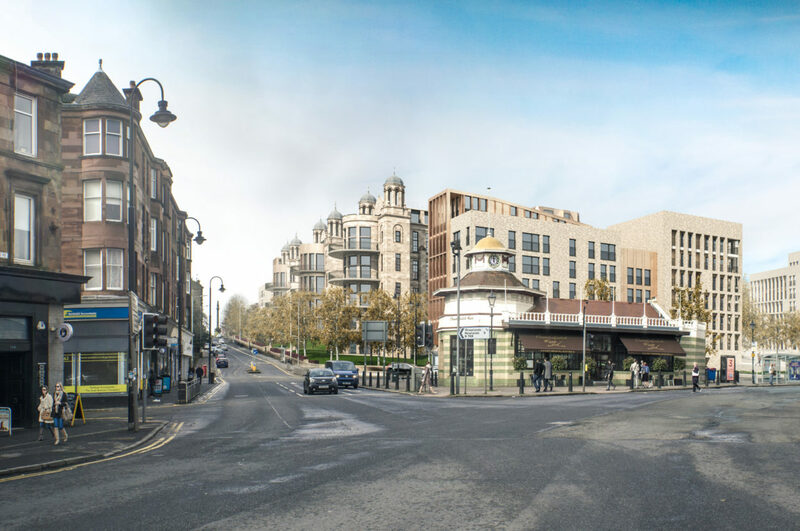 The proposals for Sanctuary Homes include the retention of the Nightingale Pavilions that face onto Battlefield Road which used to operate as hospital wards, as well as the Category ‘B’ listed Administration building which addresses Langside Road. 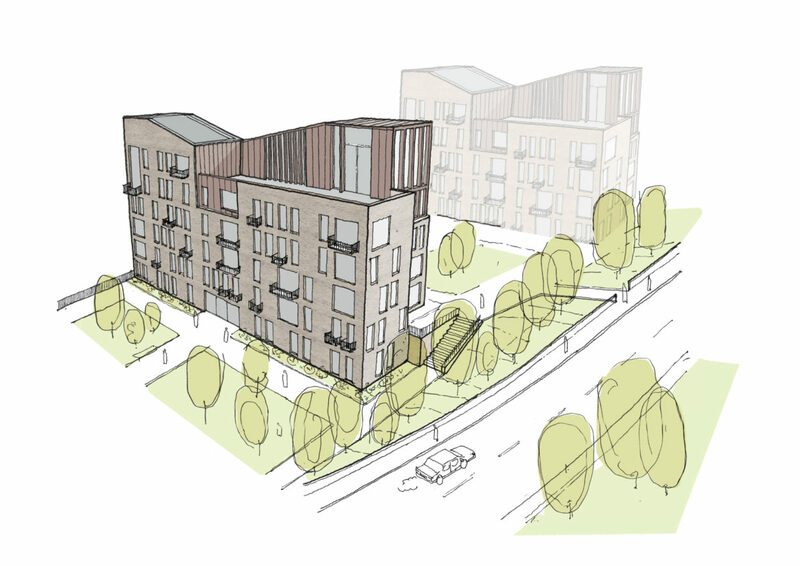 Planning permission has been granted for 413 flats as well as offices, retail, and public realm works, with a significantly improved pedestrian route at the heart of the site connecting Battlefield with Queen’s Park. Around 300 flats will be available for private sale. The remaining homes will be available for affordable housing subject to Glasgow City Council grant approval. 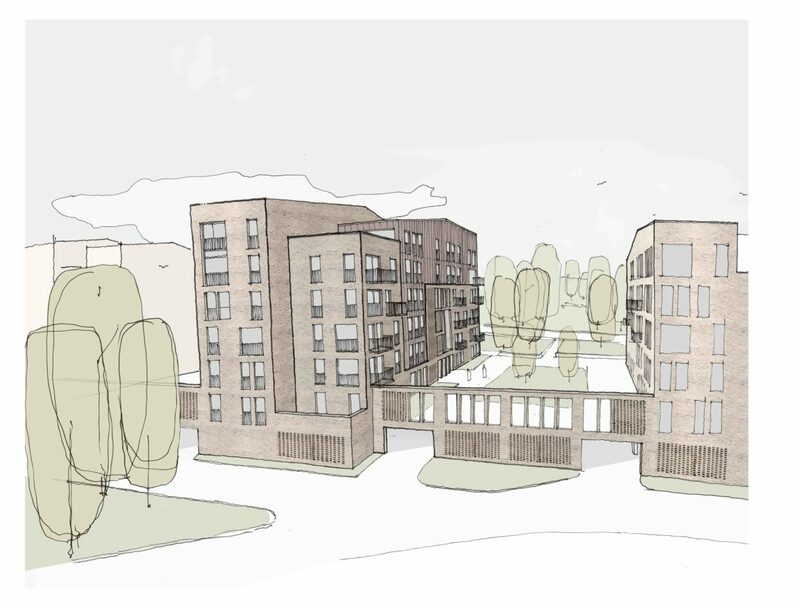 The proposals were developed after an extensive programme of community consultation and take account of the many views and comments received from over 600 local residents. 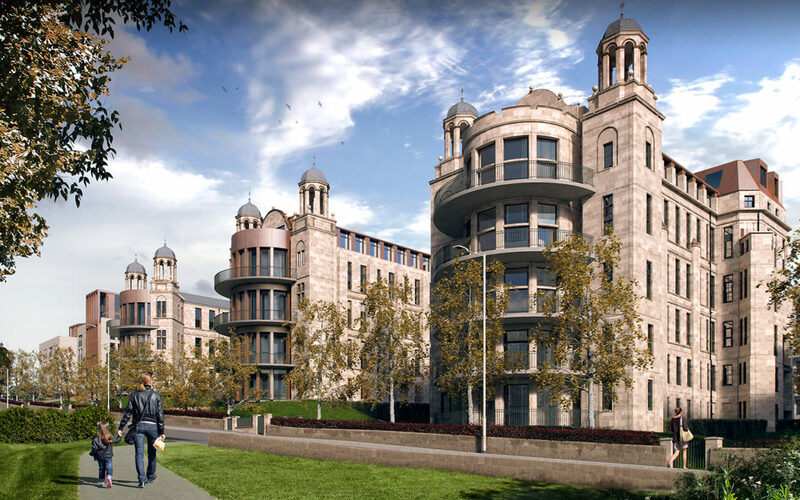 Drawing inspiration from the original 1883 competition winning design for The Victoria Infirmary by Campbell, Douglas and Sellars, Collective Architecture’s approach to the design for the site was to consider the original layout of the pavilion wards, the spaces between these wards, as well as the original intention to provide public access and open space within the site. The adopted approach seeks to respect the site’s historic and natural environment by responding to and extending its qualities and character. The initial approach concentrated on the creation of a clear public route through the centre of the site, linking the Battlefield Rest to the main entrance into Queen’s Park from Langside Road. This creates a public spine at the centre of the site, activating the deep site plan, and providing new frontages. The slender Nightingale Pavilion model was then looked at as a model for the development of the park edge along Langside Road. Strong forms were explored at the Battlefield end of the new public route, tying into the town centre character of this part of Langside. New ‘Park Pavilions’ face end on to Queen’s Park, complementing the arrangement of the existing Nightingale Pavilions onto Battlefield Road. Semi-private communal garden spaces between the new buildings allow views into and out of the site. These buildings and their gardens are built on top of a parking deck, which exploits the significant change of level across the site, providing large numbers of parking spaces hidden from view from Langside Road. 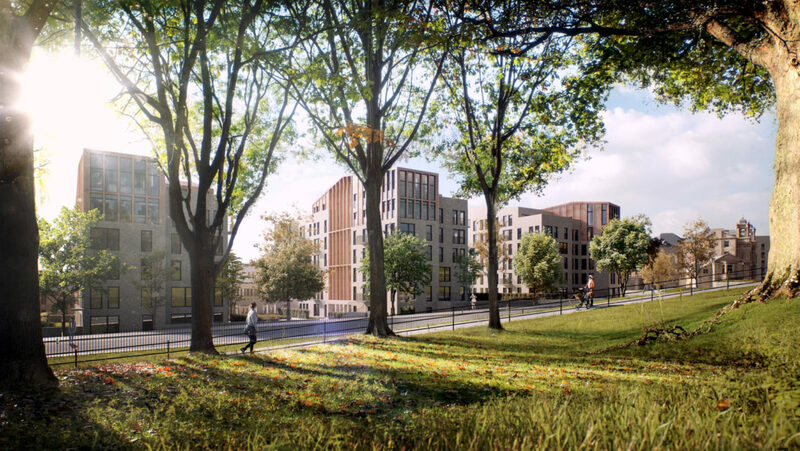 The proposed material palette is deliberately restrained and has been selected to respond to the Nightingale Pavilions, the Administration building and the surrounding context. A tonally varied facing brick (predominately grey/buff coloured) is proposed as the primary cladding material for the new build blocks. This reflects the blonde coloured sandstone present in the retained buildings. The introduction of tonally complementary large format metal panels allow the mass of the new buildings to be broken down and important corners to be highlighted through the articulation of rooflines as a series of lanterns which again draw reference from the design of the Nightingale Pavilions.